with your satisfaction as our top priority. to factory maintenance we have you covered! diagnose and fix any issues you may be having. contact the doctor before they get worse. We can handle just about any problem you have with your automobile and can get you back on the road in no time at all. From oil changes to factory scheduled maintenance we have you covered. Engine repair is our specialty, we can properly diagnose and fix any engine issues you may be having. If you suspect transmission problems act now before the problem gets worse. If your brakes have begun to squeak then bring your vehicle in today before damage occurs. We can diagnose and repair just about any electrical problem, fast and efficiently. 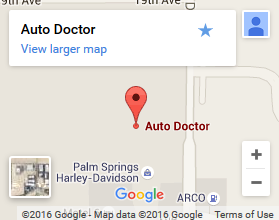 Auto Doctor is your reliable auto repair center in the Palm Springs, CA area. We are a family owned and operated company in business since 1991. Our in-house ASE Certified Master Technician will ensure that your vehicle gets the best service around. We are a full auto repair shop specializing in all types of automotive service & repair, serving Palm Springs, CA and surrounding communities. 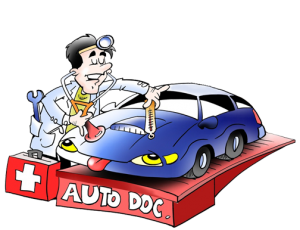 From your little money maker to your big money maker, from your old friend to your new acquaintance from preventative maintenance to major surgery, The Auto Doctor is here for you! © 2019 Auto Doctor. All Rights Reserved.